the social messaging App has now started pushing out a minor changes, under which it will be automatically sending the read receipt to the senders of the status updates, according to a tweet by WABetaInfo, which keeps a tab on the upcoming features of WhatsApp. According to WABetaInfo tweet, "Previously, it was possible to turn off Read Receipts to anonymously see status updates. 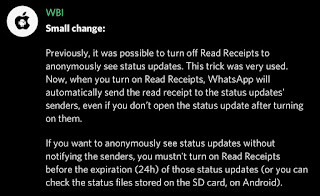 Now when you turn on Read Receipts, WhatsApp will automatically send the Read Receipt to the status updates' senders, even if you don't open the status update after on them." 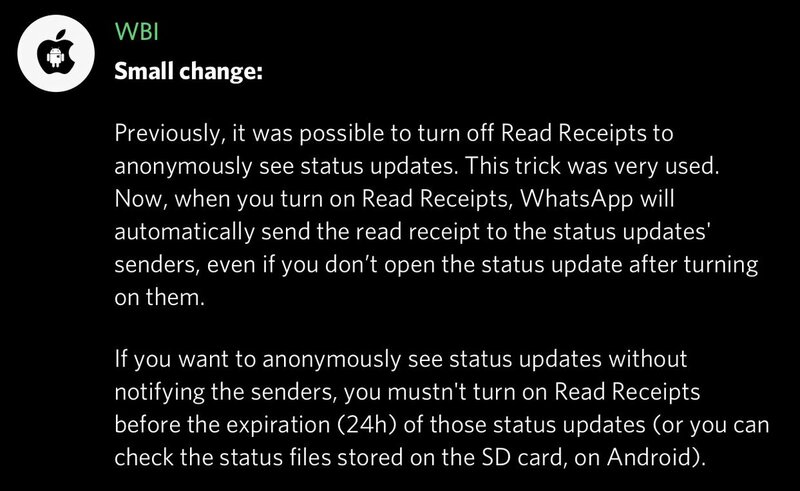 "If you want to anonymously see status updates without notifying the senders, you mustn't turn on Read Receipts before the expiration (24h) if those status update (or you can check the status files stored on the SD card, on Android)," it further added. Through another tweet on January 26, WABetaInfo said, "WhatsApp is rolling out the Picture in Picture feature for WhatsApp Web! Watch YouTube, Facebook, Instagram and Streamable videos using PiP on WhatsApp Web today!" The picture-in-picture feature is already available on WhatsApp for Android users, but this will be an excellent addition for desktop users. WhatsApp's fingerprint lock feature is available to only select beta users. 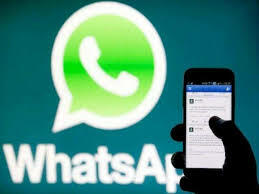 This feature will be required to authenticate identity to open WhatsApp.